The most profitable trading strategies - Casino Inside - The gambling industry magazine! Given that there are days for celebration and relaxation, let’s analyze some more strategies, ideas and concepts that we stumble upon in betting. This article is about trading and profitability. Be it 2%, 5% or 30% profit, it comes from repeated betting. In principle, from the repeated buying and selling of certain odds. This is possible on a betting exchange. This strategy was initially developed as one of the best trading strategy for horse races, but was also applied to other sports in the last 5 years. The idea of this strategy is pretty simple. You have surely noticed the variation of the odds several minutes before the event starts, especially if this event is important and bet upon. Scalping can be described as a method to obtain a small profit, as the margins of the odds tend to be almost real. For example, if you bet on the victory of the host at an odd of @2.40 and sell the same bet at @2.30, you will gain a profit in a very short time, in most cases in less than five minutes. If you placed a RON 200 bet on the @2.40 odd and sold it at @2.30 several minutes later, you’ll have a profit of RON 20 in the shortest time. You still have to be careful, nevertheless. This type of strategy requires self-control and discipline as to not make more bets than necessary. The more you increase the number of choices, the harder it is to control and follow. Many players new to the game have suffered due to this strategy. This strategy is slightly more complex, as you have to place two bets and make a correlation between them. The first bet has to be on a goal which will be scored in the 0-10 min. interval (or the 0-15 minute interval for certain online betting houses), and the second bet on the market under 2.5 goals with an amount 10 times larger than the amount placed on the first bet (for example, RON 10 for the first bet, RON 100 for the under 2.5 goals). This way, you’ll have a double winning option. In the case in which any team scores in the first minutes, you gain the winnings from the 0-10 min. interval. The option has to be at odds greater than @10.00. If none of the teams scores in the first 10 (or 15) minutes, you lose your first bet, but at the under 2.5 goals odd, it decreases enough to cover the stakes and to gain a profit. This strategy implies a good knowledge of the bet, but also anticipating the evolution of the odds. The great danger is obvious in this case: to bet on the first goal without succeeding in betting in time on the under 2.5 goals. It’s mandatory that you place the bet immediately after having placed the first one, or you risk a double loss. There is no reason to get greedy and to wait for a few more percentage points. This strategy has become so popular that, currently, it affects the variation of the odds at a large number of online betting houses. Its popularity is the result of its efficiency and simplicity. The fact that you close a bet pretty fast offers you the advantage of not needing to pay attention to the rest of the game. Once again, it is about a strategy in which you place two bets on the same game to gain a profit. The basic idea is to choose a game which has a small chance of ending in a tie. The initial bet is against a tie score (not X – equivalent of 12). This means that it is necessary for a team to score. Even if it scores two or even three goals, in most cases you end up a winner. However, what happens if a team leads with a 1 goal difference, and there are 15 minutes left before the final whistle? It’s time to consider the tie score. No, I’m not saying you should bet on X to protect yourself. The best option is to start from the current score and to cover another option. Usually, we’re talking about odds around the @6.50 value, in certain cases exceeding the @10.00 value, depending on the adversary’s value. If you want to limit the risk even further, you can bet on other exact score markets as well, but this will reduce the amount of the profit in the long run. Another popular sale/buy strategy is the precursor of the cash-out option, which you can now find in almost all betting houses. 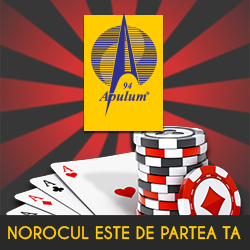 In fact, you place a bet with great chances of success and wait for the right moment to withdraw the stakes. In this case, you have to follow the game and be ready for live at any given moment. Furthermore, you can change your mind or bet on other markets of the game, corners, cards, possession etc. The trick is to not place more bets than necessary and to know exactly when to sell them/cover them. The key to this strategy is to maintain your calm and to divide the bank in small amounts (actually really small), as to maximize the winning chances. The main question in this case is: Do I stay on the bet in hopes of a larger profit or do I sell it immediately and eliminate the risk? Punters with great experience say that this is the moment that difference shows its face and experience has its say. A usual punter would delay selling the bet, as he/she would feel that he/she isn’t gaining enough. A punter with experience would be more careful and less greedy and would sell the bet the minute it reaches minimum profit: 2%, 3%, 5%. 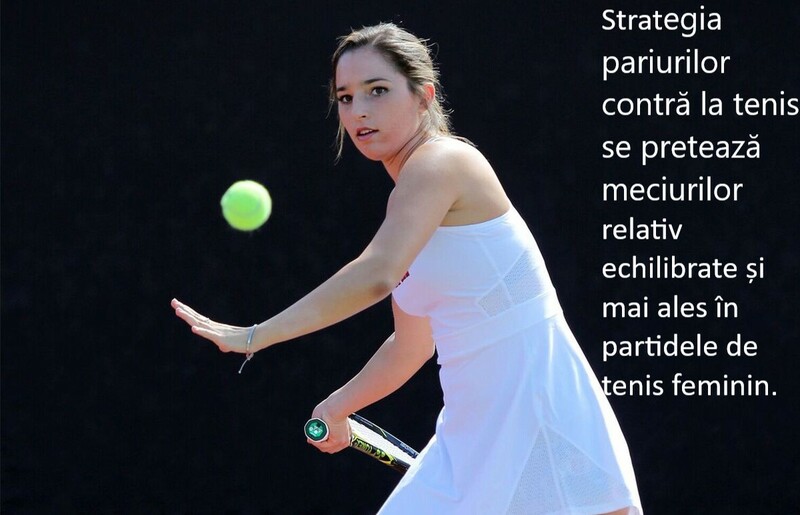 Before applying this strategy, it is important to really know tennis and especially the strong points and the weak points of the two players. The strategy is good for relatively balanced games and especially for women’s tennis matches. In this case, the online betting houses tend to favor the player who serves the ball, as he (or she) has a greater change, statistically, to win the game. However, reality can be somewhat different. In the women’s game, the win-loss percentage in serving is almost 50%. This means that, if you bet on the serving player, he/she simply has to confirm and to win the game. Regardless if he/she loses a point, or two or three. Once again, you have to remember that this strategy is adequate for matches in which the players have a similar force. Many punters bet on the serving player when he/she has missed a point of two, at 0-15, 0-30 for much larger odds. It’s an issue of establishing your own profit limits.